The son of a university professor, Guiseppi Mazzini was a genius who entered university study at the age of 14 and graduated with a law degree. He worked as a poor man’s lawyer but at the same time pursued a career in journalism and took an interest in politics. The link with Adam Weishaupt was a simple one. Mazzini’s father was a member of Weishaupt’s Illuminati and was active in the organization’s movement that led to the French Revolution. The revolutionary government was unsuccessful, however, which brought about the rise of Napoleon’s dictatorship. Remember that the Illuminati was a secret society known as “the enlightened ones” who were out to abolish Christianity and overturn the royal crowns that dominated the people throughout Europe. In his day, Italy was struggling with a broken government under the control of the Vatican following the fall of Napoleon’s French Empire. 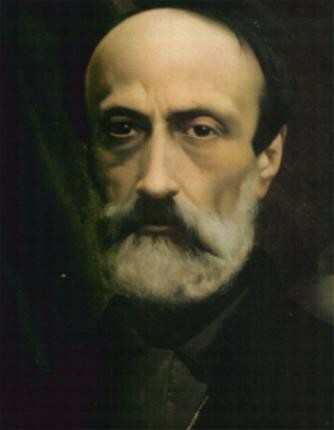 Mazzini’s dream was to bring about a republic in Italy. This turned into a lifelong effort that was blocked at almost every turn by the powerful Roman Catholic Church. It was from here that Mazzini wrote a stream of articles, arguing for a Republic of Italian states. He also formed a new political society known as “La giovine Italia” which meant Young Italy. He also envisioned a secret dream of someday seeing a United Europe, with all European nations joining in a “United States of Europe” much as had happened in North America. It was at this point in Mazzini’s life that General Pike became involved with him. That amazing part of this story is yet to come.